By Fr. Jean C.J. d'Elbee. 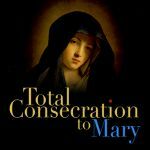 "That they may believe in My love," was the reason given by Our Savior to Saint Margaret Mary for the intimate revelations concerning His Most Sacred Heart. Two centuries later God raised up Saint Therese of the Child Jesus that she might share with the world the love of a Child's heart, conceived invisibly in eternity, and made visible in time of the Blessed Virgin Mary. In her unpretentious Carmelite cloister she wished to be known as "the Little Flower," the least significant of all, yet she was, at the same time, under obedience to write down the secret of her sanctity — a sanctity that was the fruit of total evangelical simplicity of heart. A French retreat master, Father Jean C.J. d'Elbee, was so profoundly affected by her "little doctrine" that he made it the heart and soul of his own spiritual conferences, ten of which are included in this book. There is no pious sentimentality in these magnificent sermons. 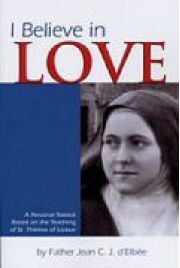 Saint Therese, who referred to "dryness" as her "daily bread" and to herself as "the happiest creature on earth," would have no part of that. Nor would she tolerate any lack of confidence, in anyone, in God's merciful love. "Sanctity is a disposition of the heart," wrote Carmel's flower, "which makes us humble and small in the arms of God . . . and confident to the point of audacity in the goodness of our Father." This book is for all those who desire genuine magnanimity of soul.